Take your color to the front of the VIP section with i Party! This revolutionary formula is hand crafted to tan, tone and hydrate while keeping your skin tight, energized and ready to party all night long! Don't let them make Last call on your color - Demand i Party! With i Party, you won't just turn heads...You'll break necks! It doesn't get more perfect than this! 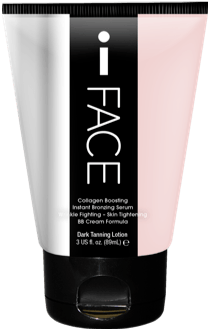 This captivating coconut cream formula infused with Black Onyx Bronzing Technology will transform your flawless glow into rich bronzed color. Our age rewinding formula appears to fight wrinkles, cellulite, fine lines, and skin's pesky imperfections. Let this luxurious, satin perfecting lotion be your secret weapon to skin so perfect, there is no other word besides PERFECTION! 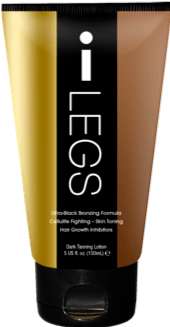 The exclusive High Performance Melanocyte Energizer ComplexTM contains a powerful boost of dark tanning agents, skin energizing compounds, body firming complex, paired with a hair growth inhibitor for color you've been waiting for! Our cutting edge ingredients will take your before and after look from now to WOW!